A ride on a Tempo Traveller turned into a nightmare for Nagarathnamma (59), a resident of Koramangala II Stage. 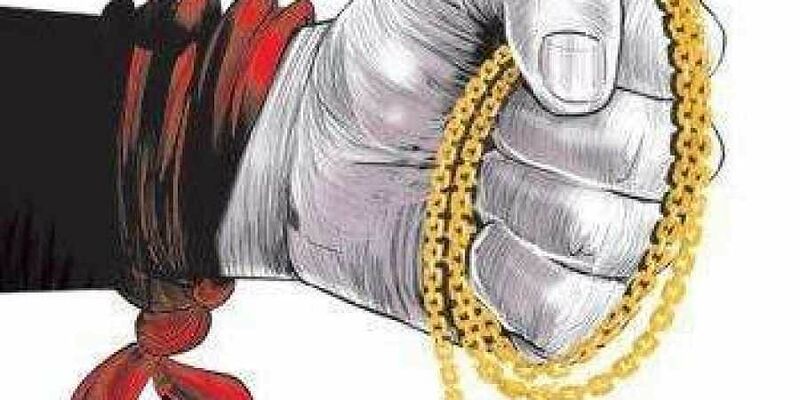 On Monday night, she was on the way to her brother’s residence in Kumaraswamy Layout to attend a house-warming ceremony, when she was beaten up by the driver, robbed of her gold chain worth Rs 95,000, and then pushed out of the vehicle. Police said that it was around 8.30pm when a Tempo Traveller driver offered to drop her till Silk Board Junction. She got into the vehicle. The only other passengers were an elder woman and a man. After dropping the two, the driver drove towards Silk Board. In her complaint to HSR Layout police, Nagarathnamma alleged that when she offered the driver Rs 10 when alighting from the maxicab, the driver refused to take the money, saying that she was like his mother. He then asked her to sit and said he would drop her on the other side of the road after taking a U-turn so that she did not have to cross the busy junction. However, after taking a U-turn, the driver went into a lane. When Nagarathnamma asked him why he was driving all the way instead of just taking a U-turn, he said that he wanted to drop her till her brother’s place. Soon he took her to an isolated area at 9.50pm. He then suddenly caught hold of Nagarathnamma and started assaulting her. He even punchedher. He then robbed her of her gold chain worth Rs 95,000 and pushed her out of the vehicle before driving away. She was left wounded and lost in a strange locality. She did not have a mobile phone with her and hence could not call anybody for help. An investigating officer said the driver had taken Nagarathnamma to HSR Layout 6th Sector, close to Fern Hill Garden’s apartment, where he had robbed her. “We have taken up a case of robbery and we are investigating it. Nagarathnamma works as an attender in a private firm. The police have launched a manhunt for the driver,” he said.